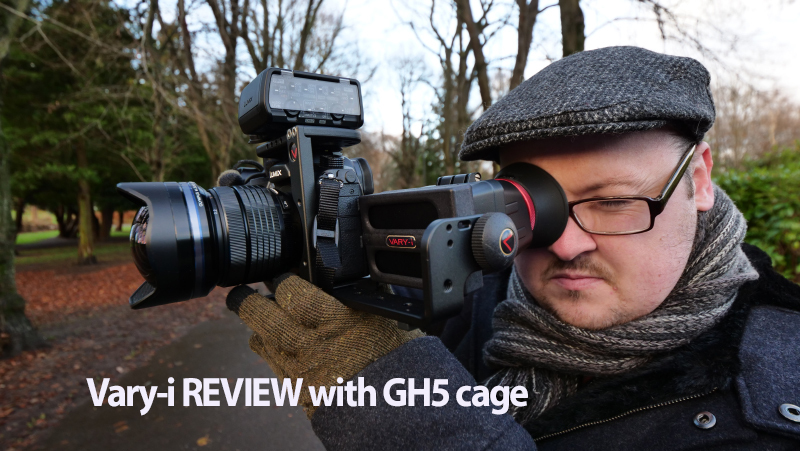 Vary-i came back to me with their updated viewfinder for the GH5 which now comes with a very useful cage. As you can see from above I have taken full advantage of the cage by using a DGI Osmo accessory called a universal mount (£20) which comes with a shoe that can finally mount my second radio mic receiver. As usual due to lack of thought in Panasonic’s design team the only snag to the 260 degree rotation of the viewfinder is the audio cable for monitoring headphones, if used, but the same goes for the LCD itself. 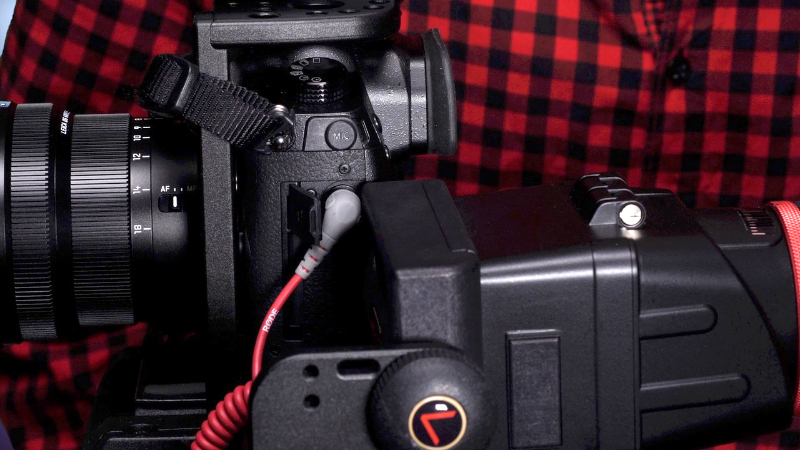 It would have been far more sensible to have put that socket on the card reader side of the GH5, or sent a second feed to a socket on the XLR unit. Hello, I would like to know which camera has you used to record this review. A Dji Osmo? Thank you.